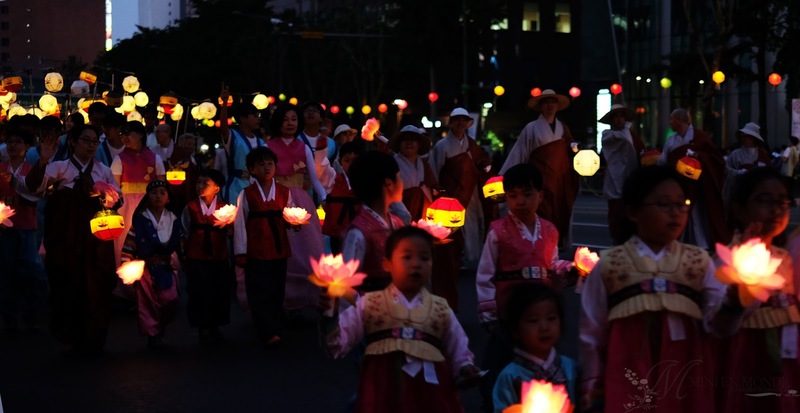 The Lotus Lantern Festival is held every year on April 8th (lunar calendar) to celebrate the birth of Prince Sidharta Gautama in 563 BCE at Lumbini in Kapilavastu. 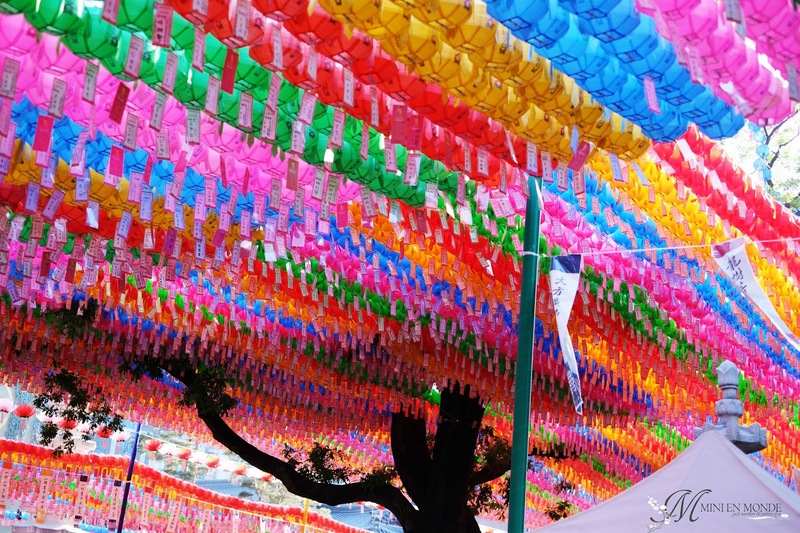 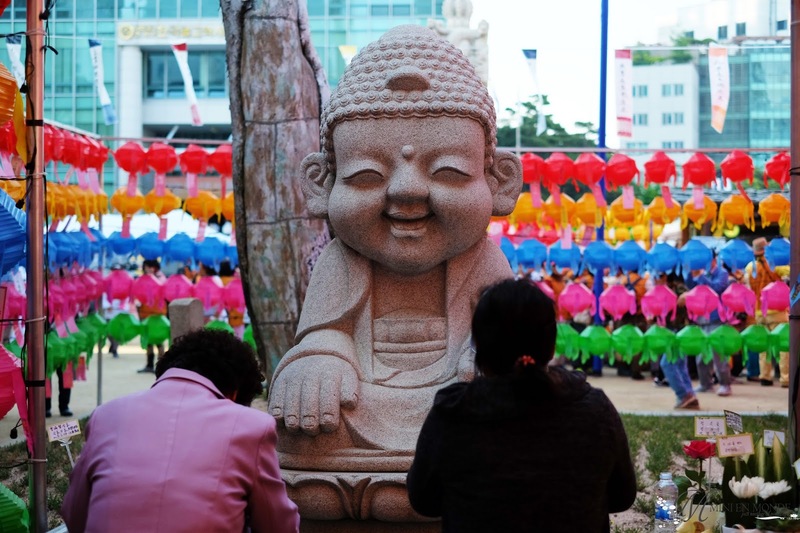 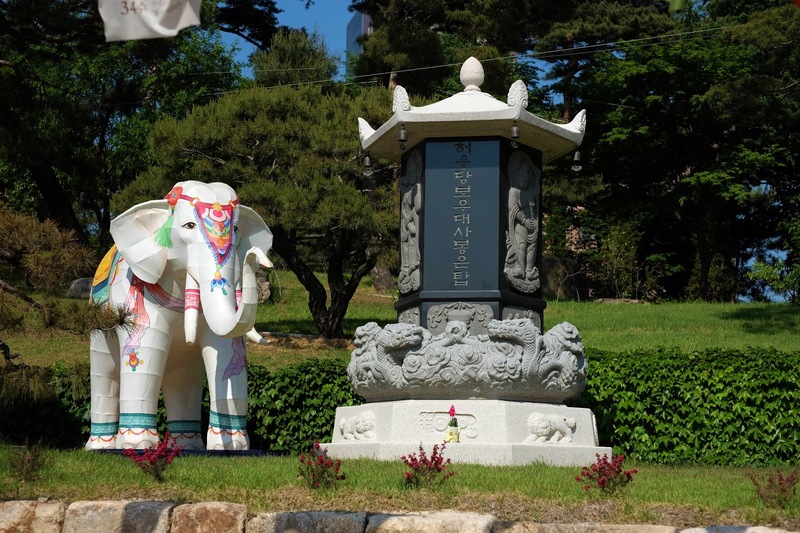 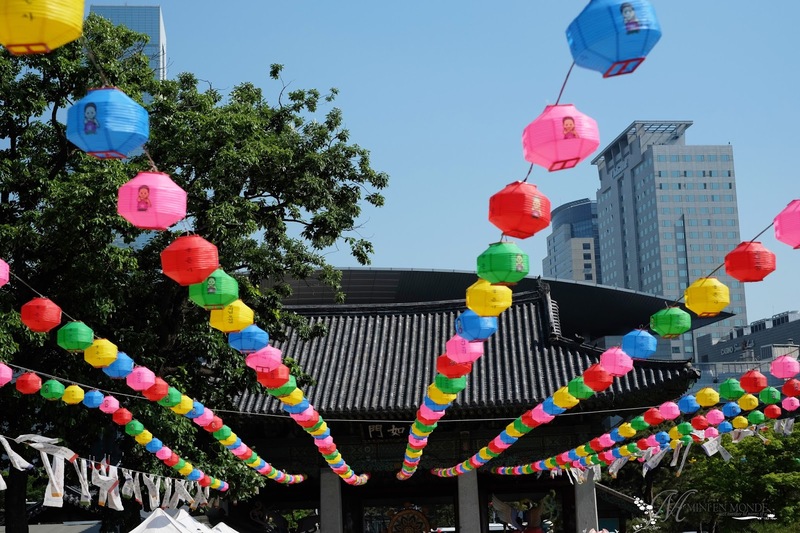 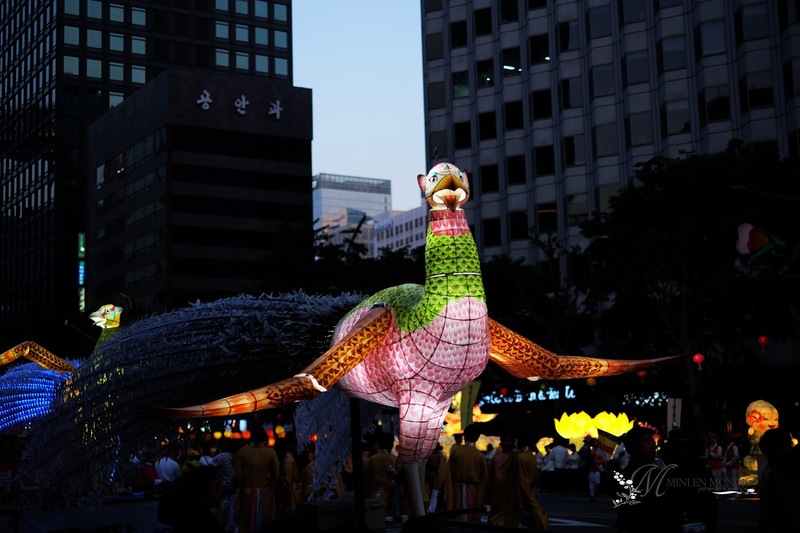 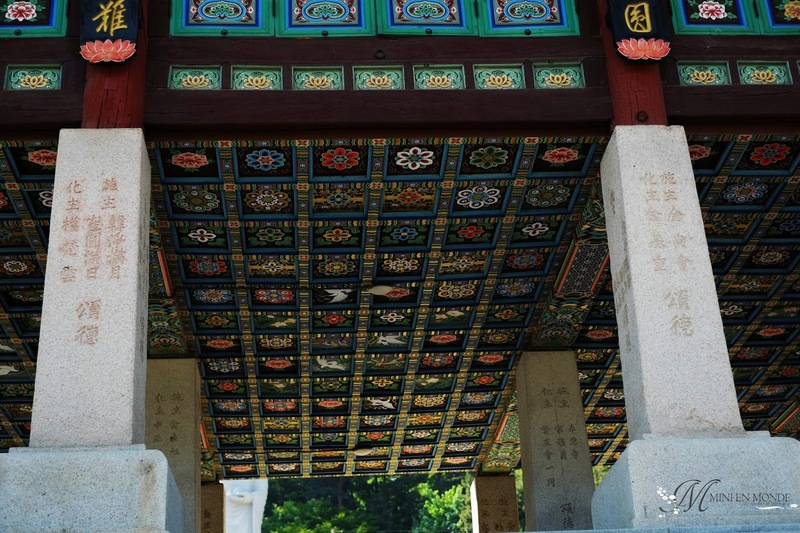 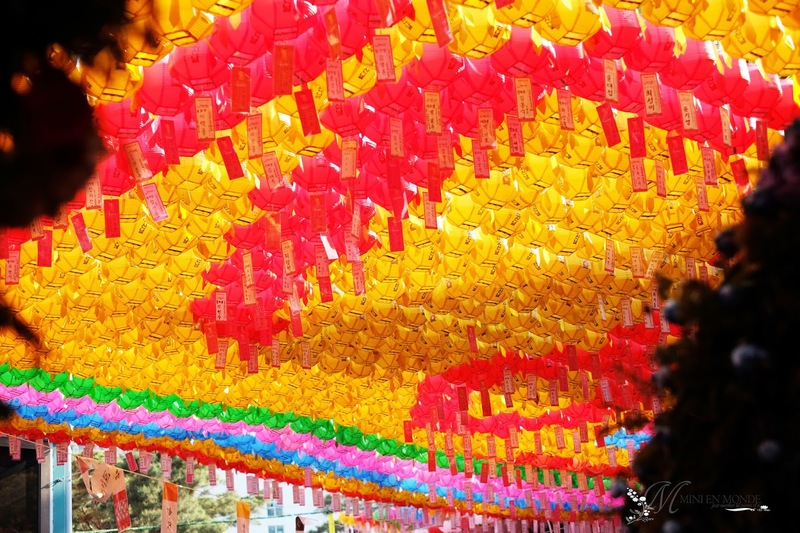 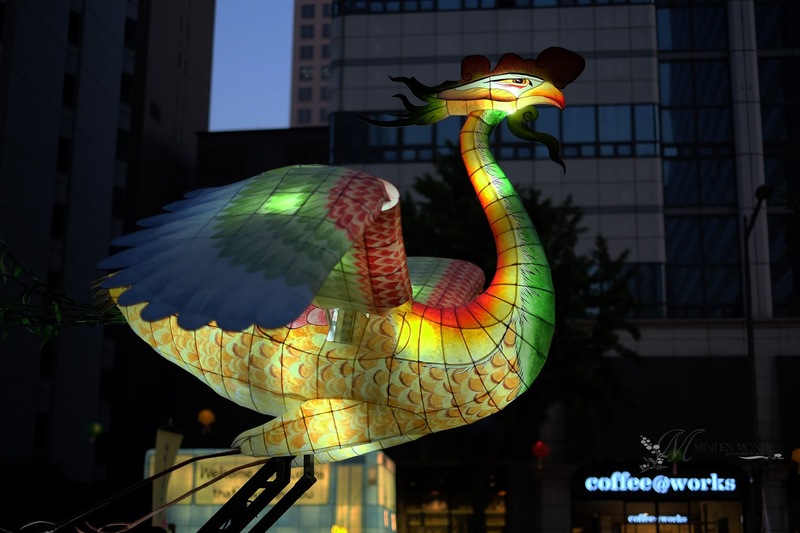 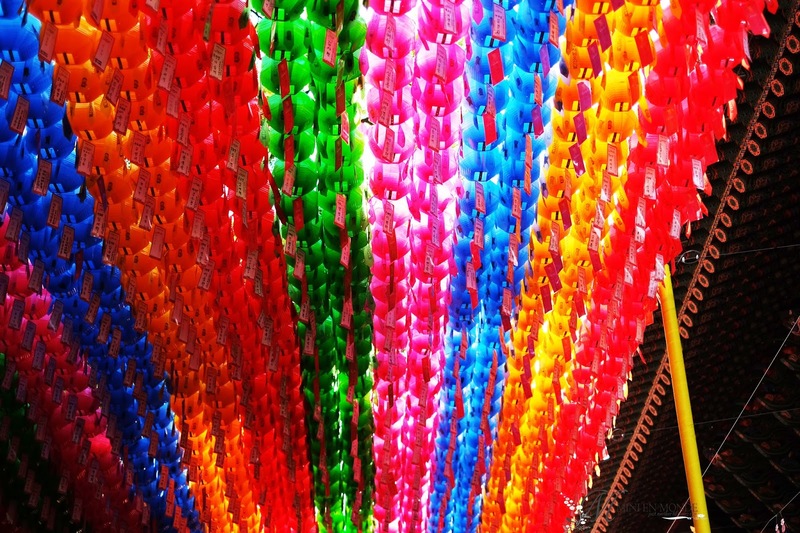 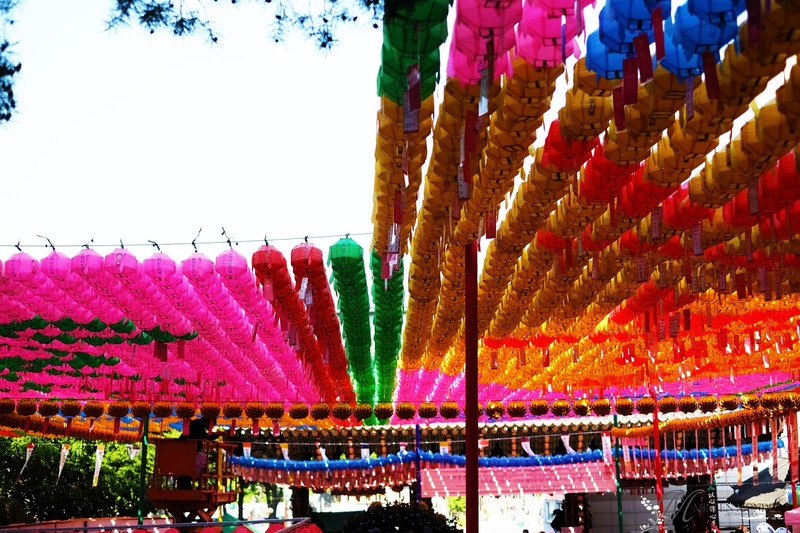 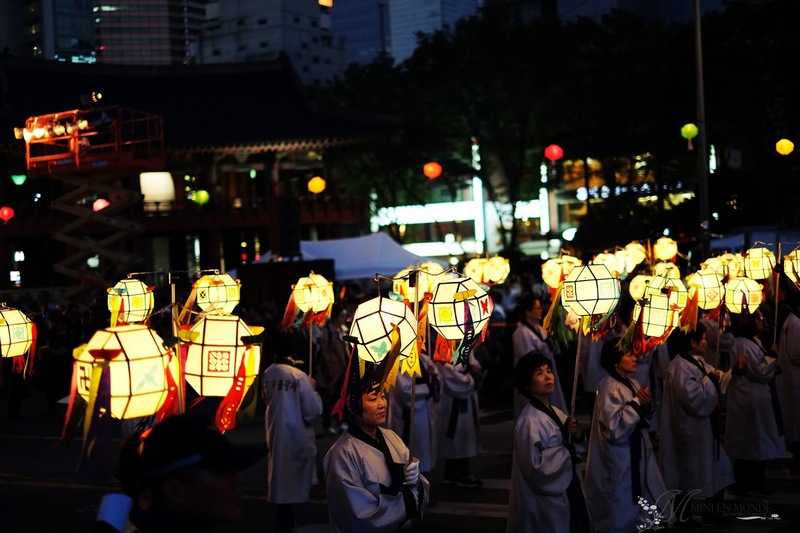 The festival is preceded by hanging of lotus-shaped lanterns across Seoul for several weeks, and officially kicks off with lighting of the Jangeumdang, a large lantern that symbolizes Buddhism and Buddha's Birthday, at the Seoul Plaza. 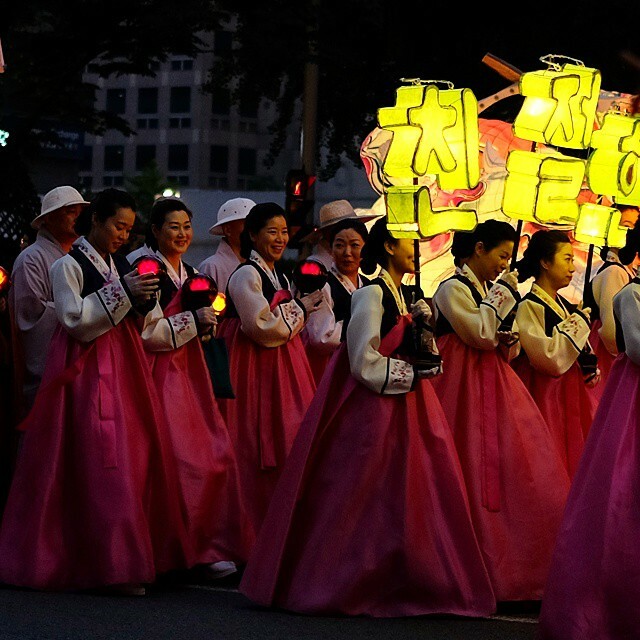 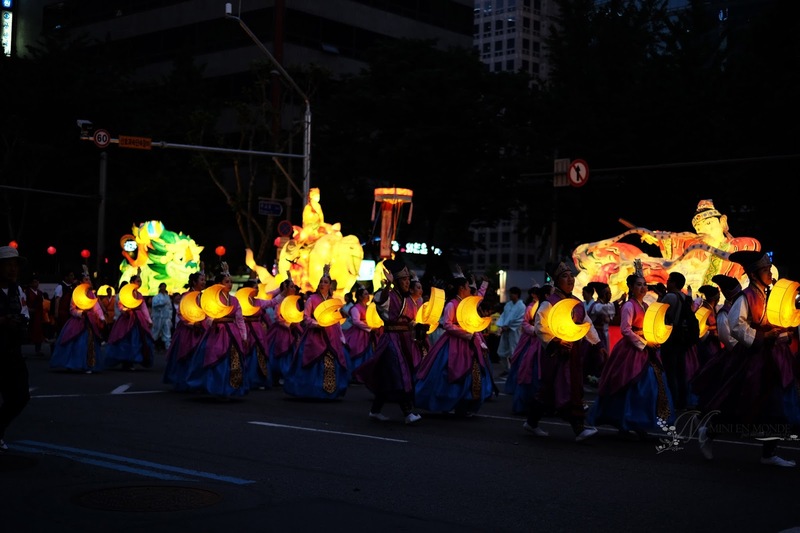 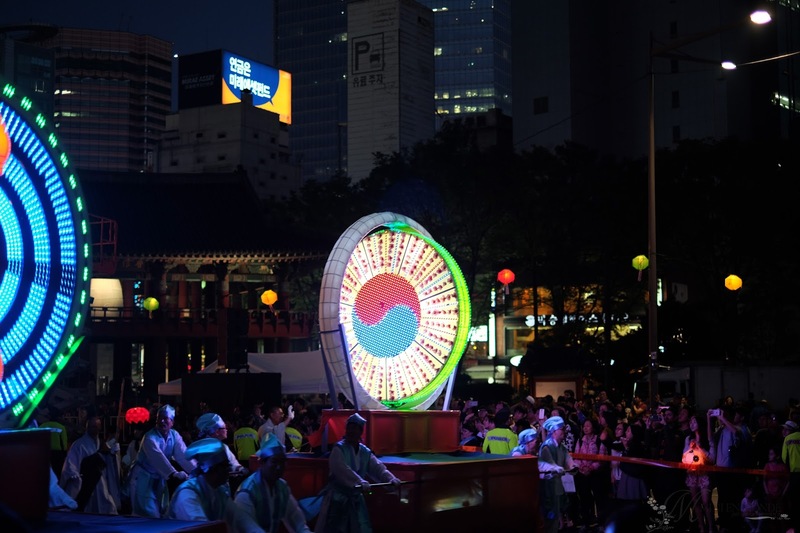 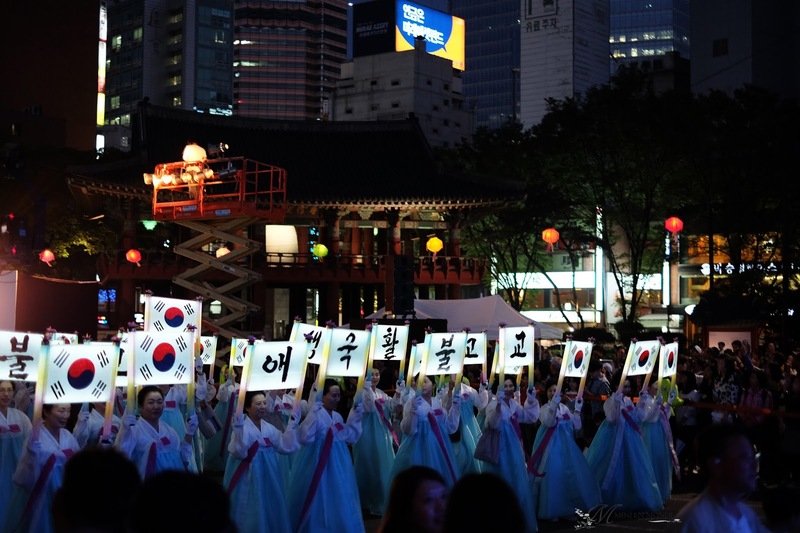 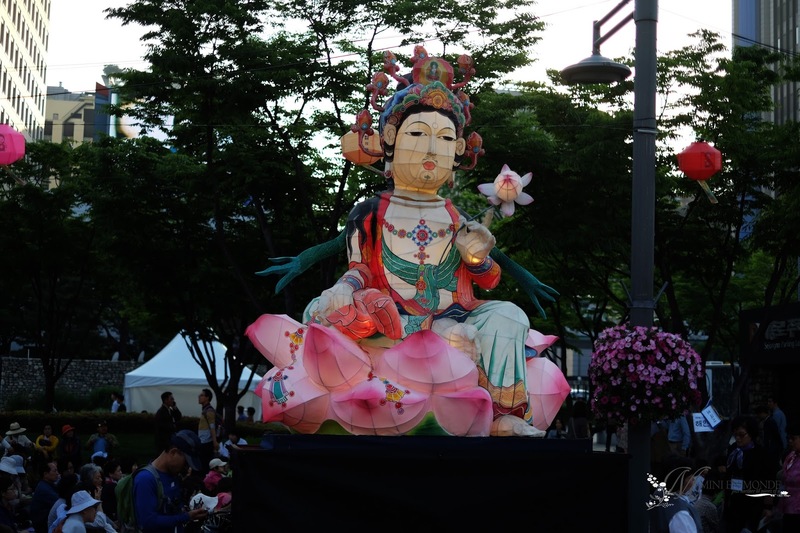 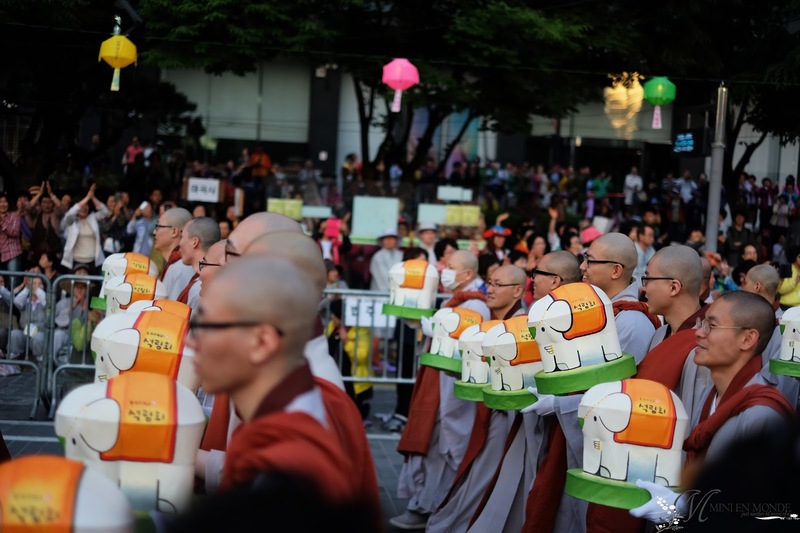 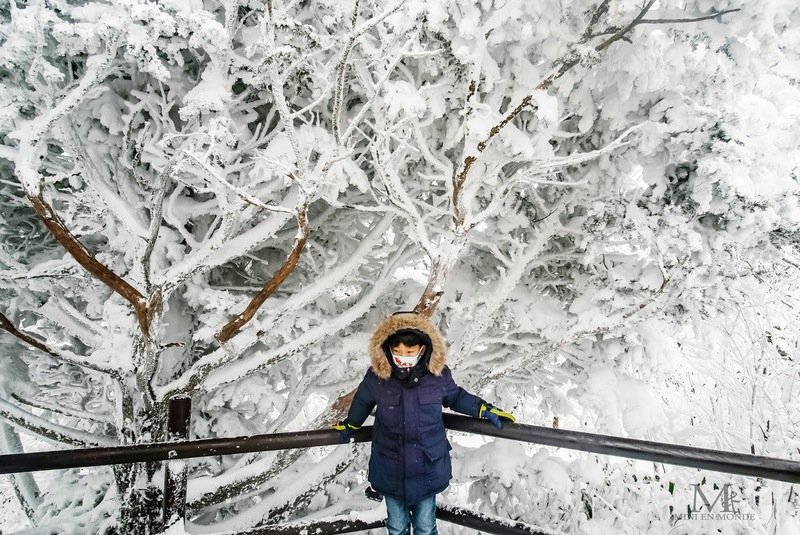 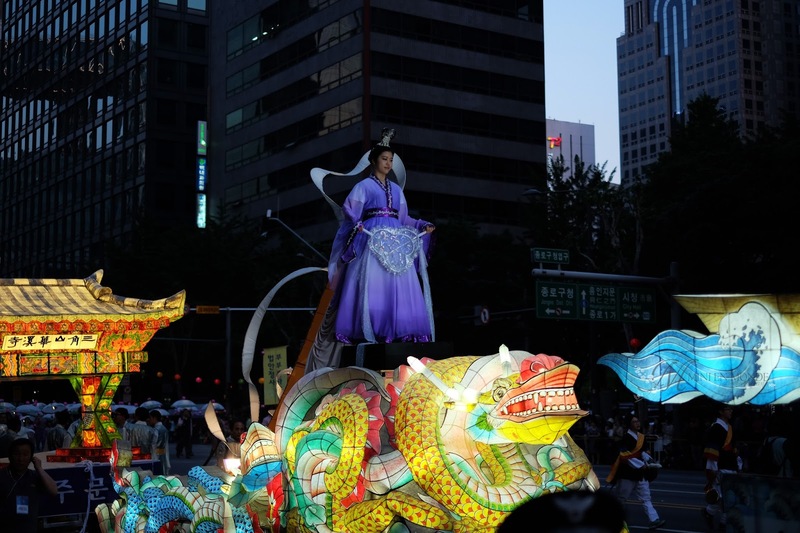 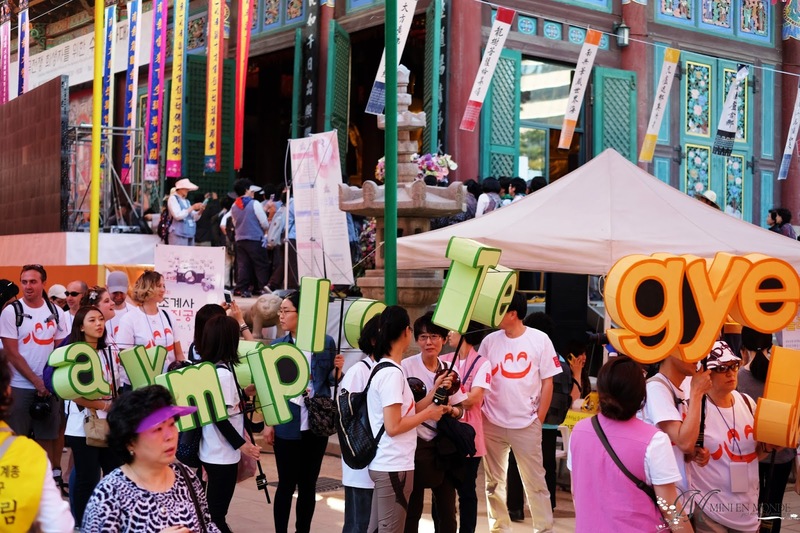 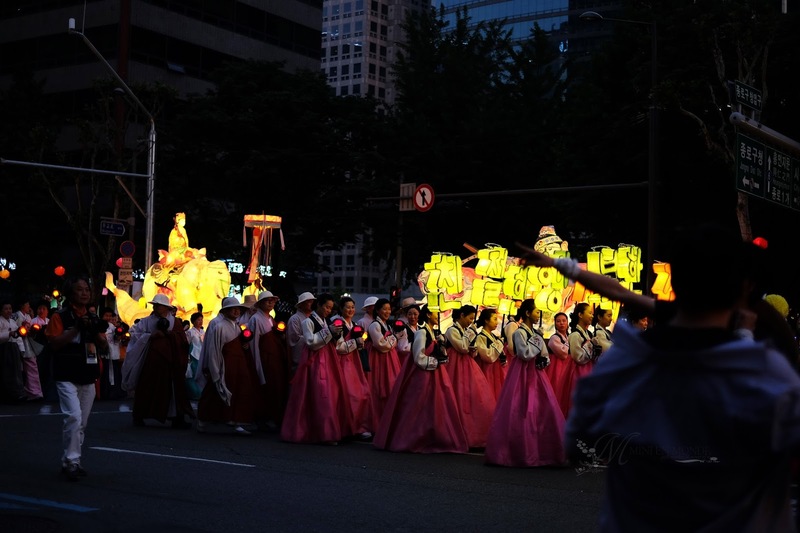 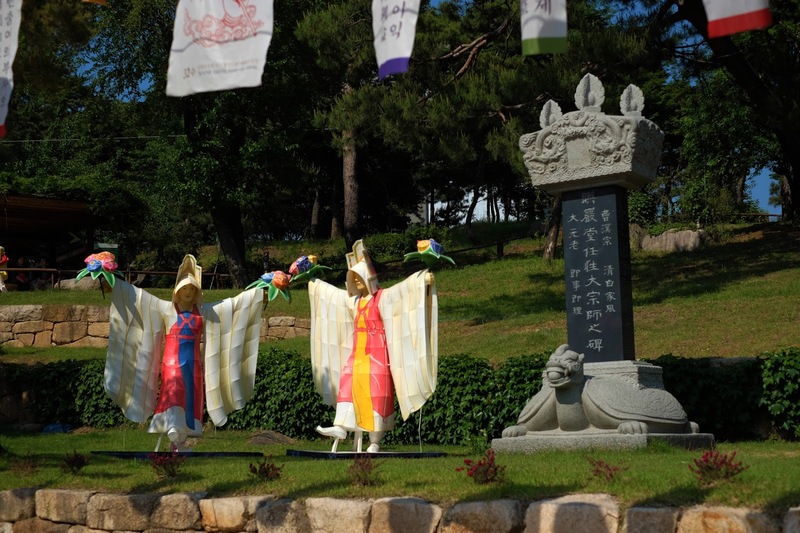 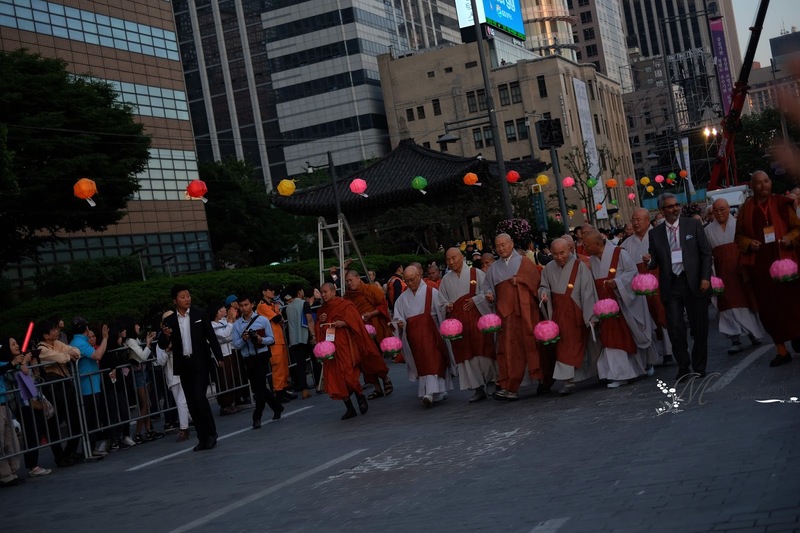 The celebration continues with a wide array of Buddhist programs and activities, before ending with an impressive lantern parade in the heart of Seoul. 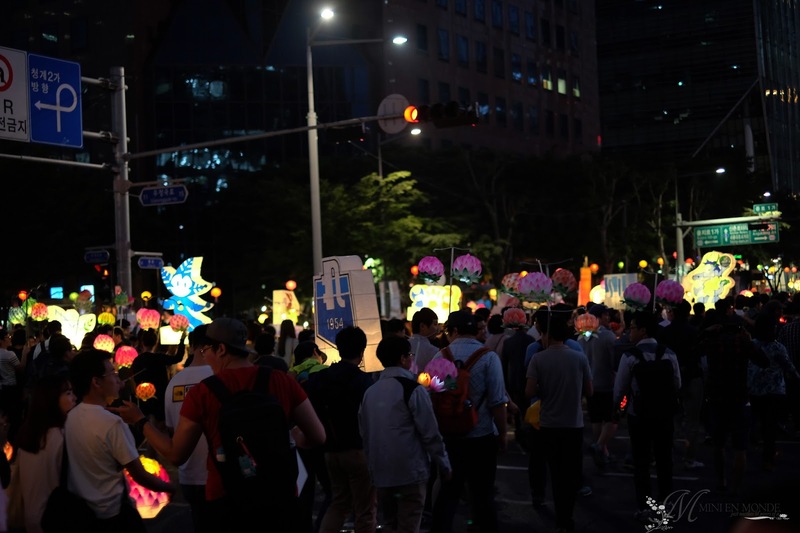 The lantern parade participants arrayed in their special costumes depends on their own group decision and will rally and dancing together around the course from From Heunginjimun Gate in Dongdaemun to Jogyesa Temple, along the Jongno Street and light the lotus lantern at the Gwanghwamun square. 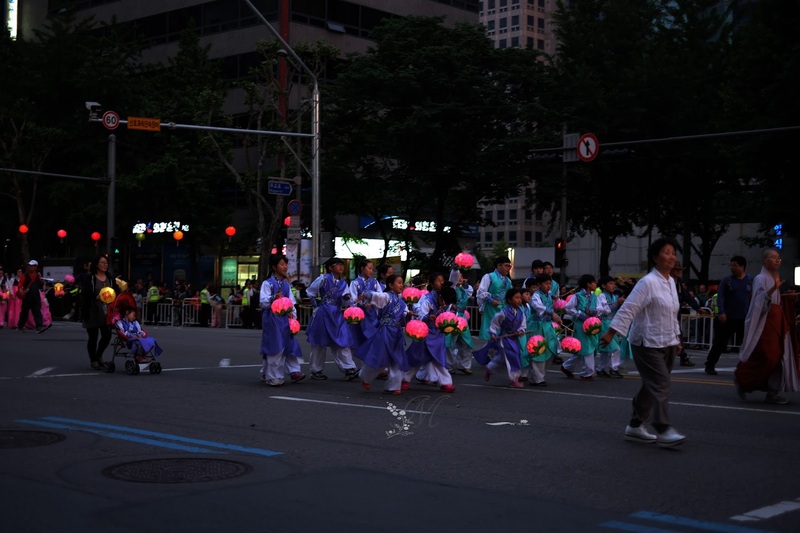 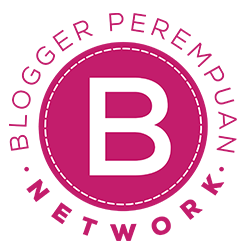 During the festival and parade road will be close and if you fast you can enjoy the parade in the most closest place. 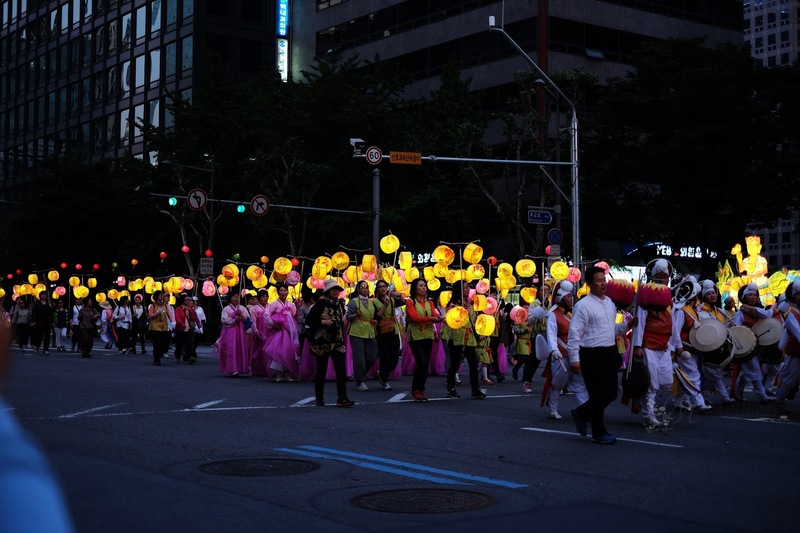 After the parade there also a celebration near the jonggak intersection. 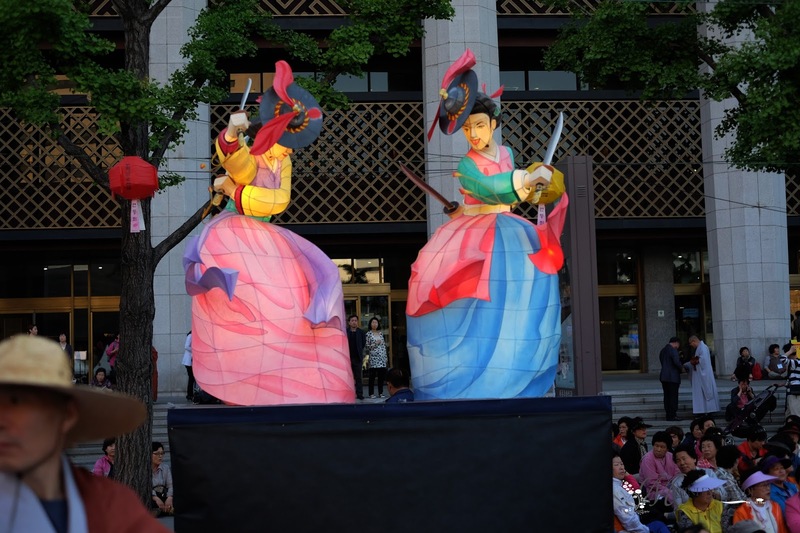 Me and my friend coming at 5 oclock, and until 7.30 before the sunset it look less attractive. 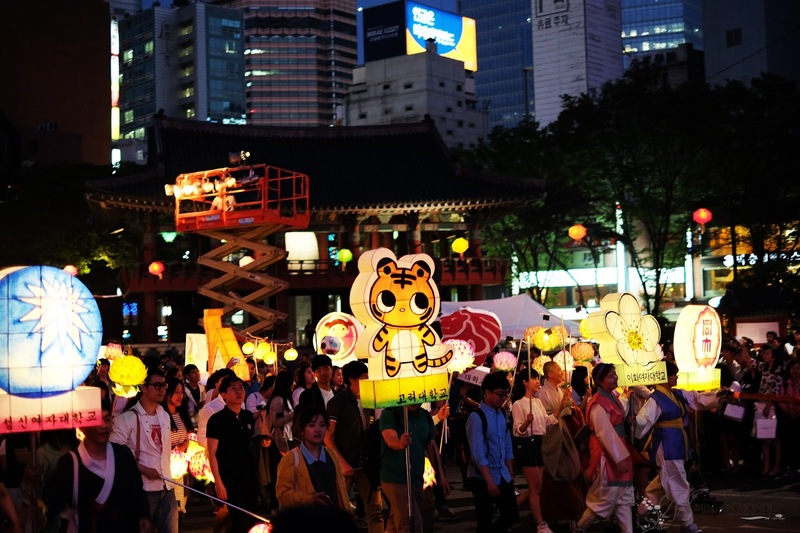 I went to Bongeunsa which is located in the front of COEX mall in gangnam, and Bogeunsa in Insadong, both of them dont give you a peacefull and fresh air like what you see in the korean drama because they are located in the gangnam and insadong, both of them were full with tourist and the lantern parade participant during that day. 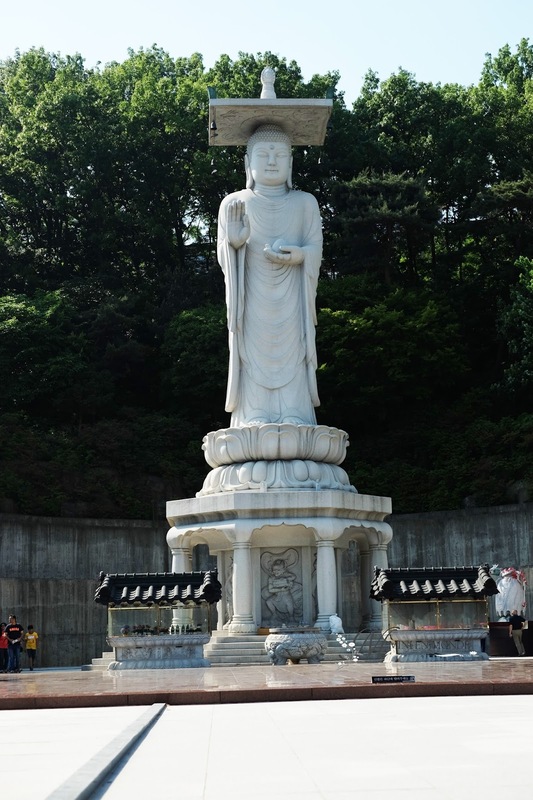 Bongeunsa it self also famous with its tallest buddha statue that stands 23m high surrounded by Samseong-dong tall buildings. 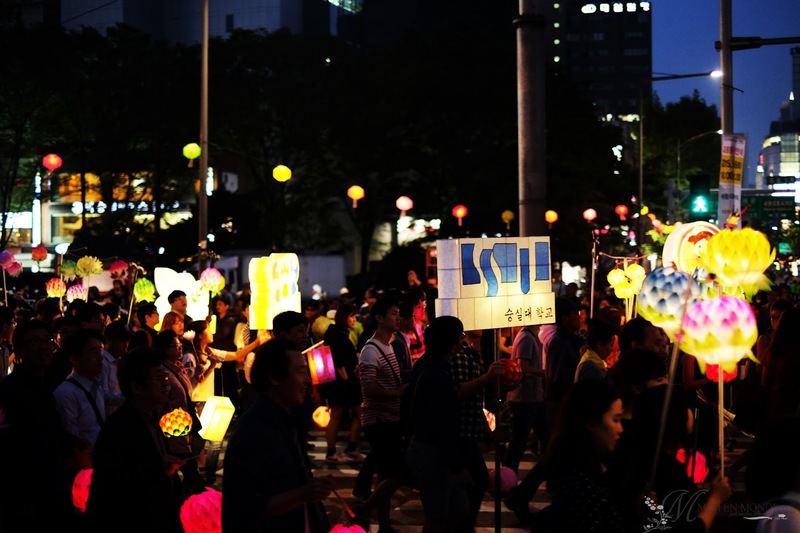 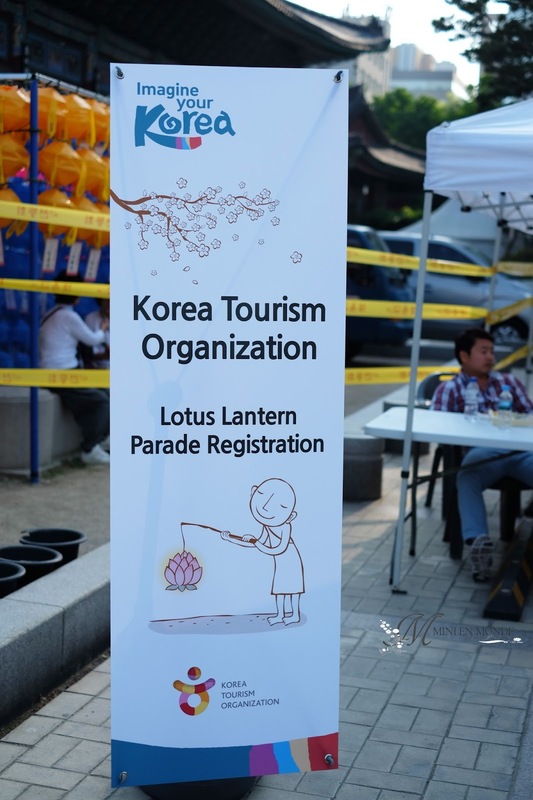 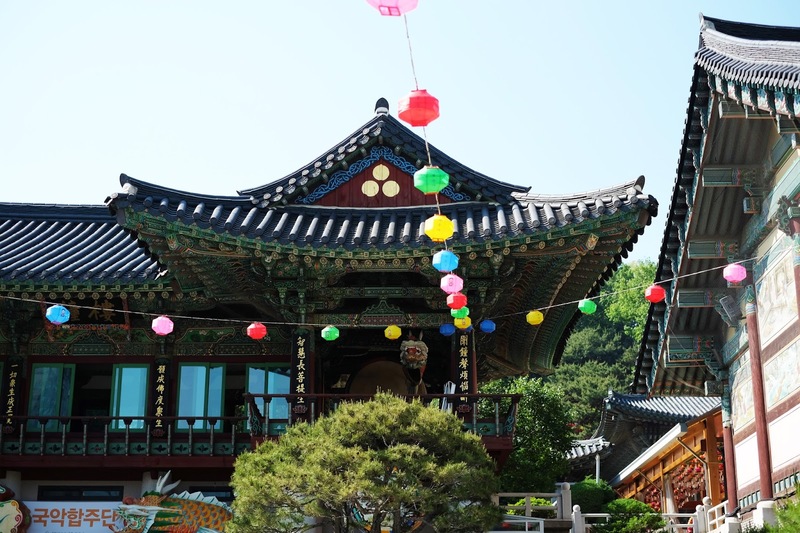 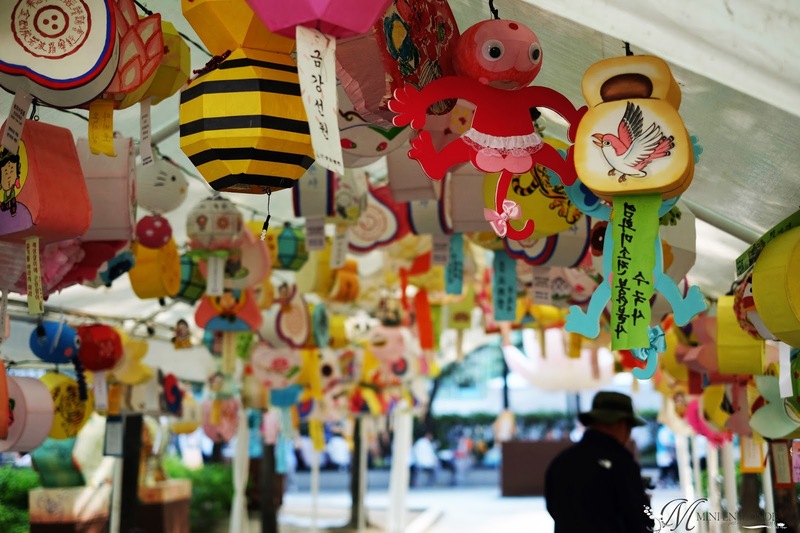 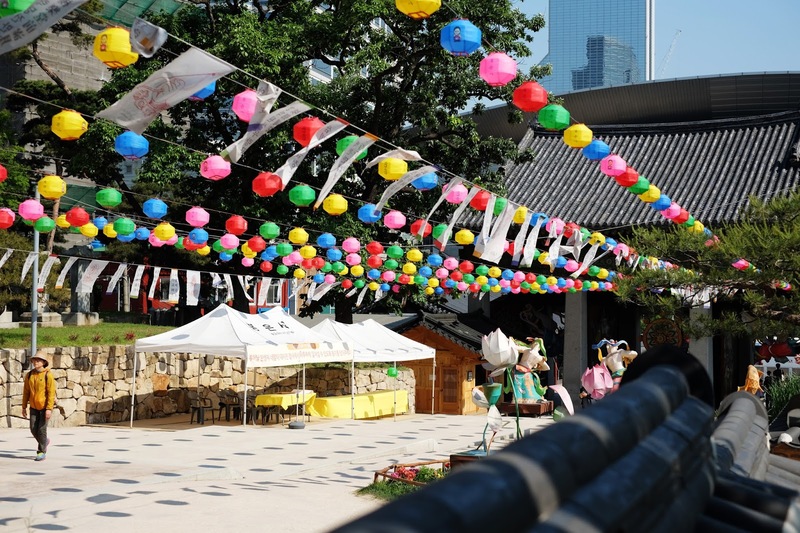 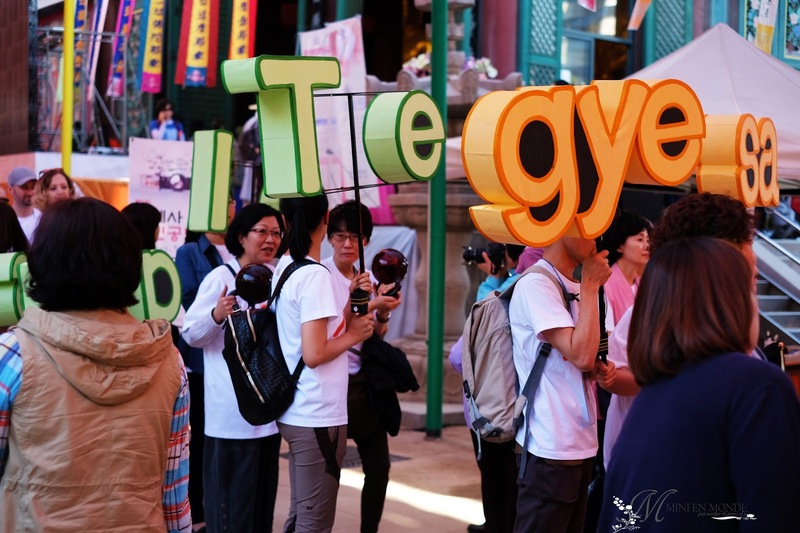 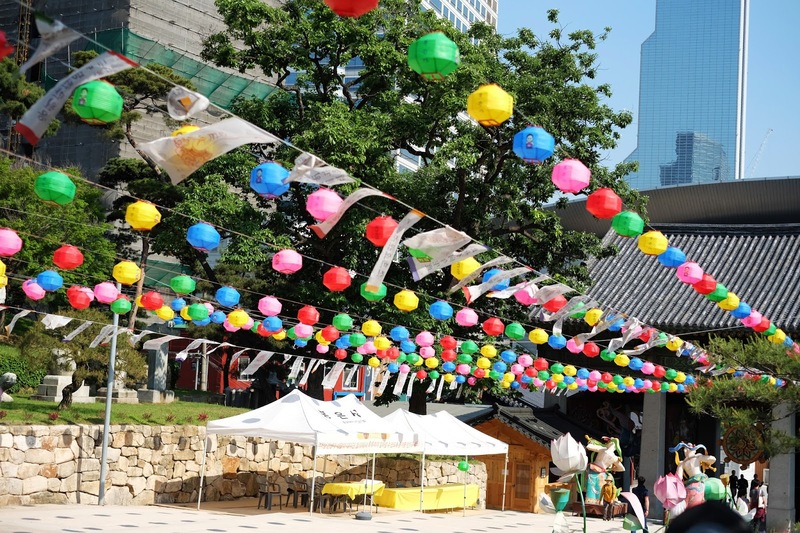 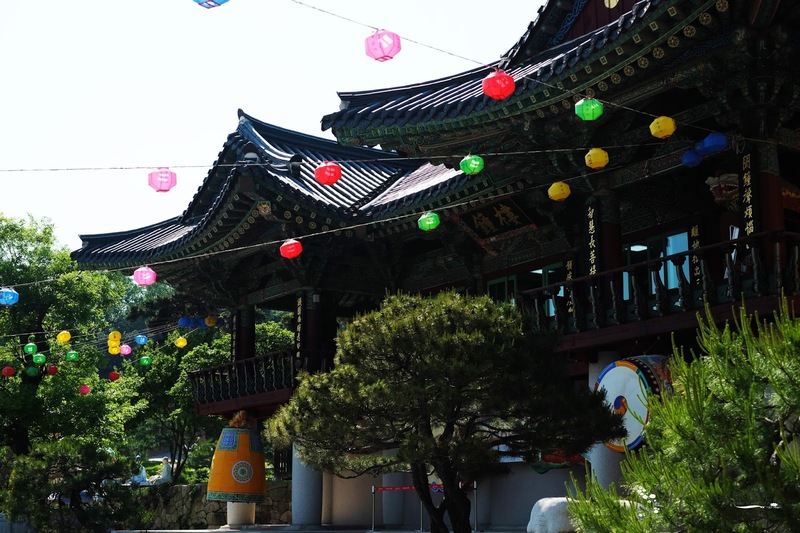 In Jogyesa, KTO also provide experience to make your own lotus lantern and also provide some service for foreigner whom interested to joined the parade in their stand in jogye temple in insadong so, make sure to visit their booth and check the website for the 25th May lantern festival. 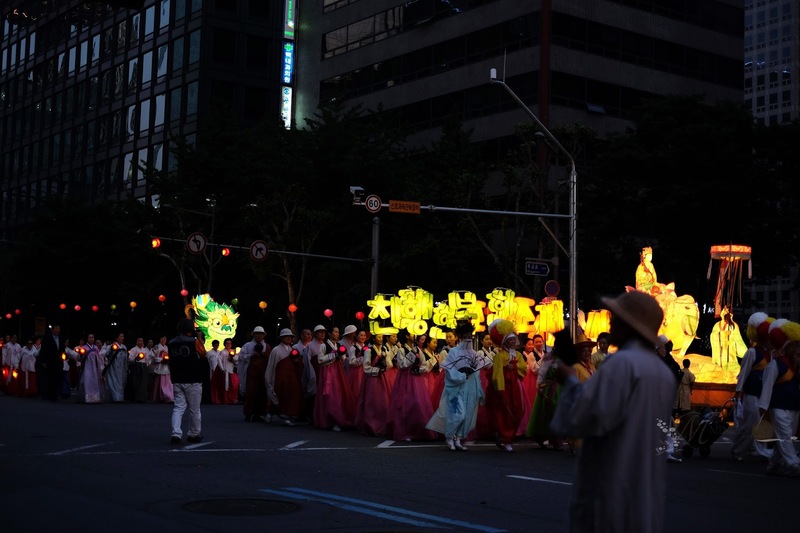 I think it will be big celebration compared to the one that we seen that day.